OnePlus is known to have some really innovative launch events for its smartphones. India has been one of its primary markets and it knows how to build up hype. Last year it went out distributing free VR headsets via Uber so that its fans could catch the event in 360 virtual reality. This year too is not an exception as OnePlus has planned an elaborate celebration in India. As you might know the OnePlus 5T is up for launch and it shall be unveiled at Brooklyn, New York on November 16th at 11am Eastern Time. 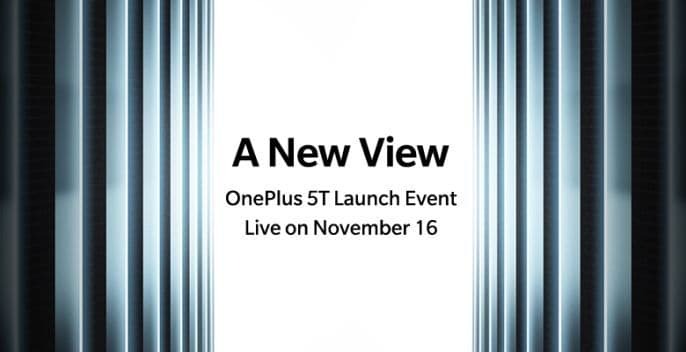 In India OnePlus has organised live screening of the launch event scheduled for November 16th at 9:30pm in select theatres. OnePlus has collaborated with multiplex chain PVR and ticketing service BookMyShow to make this happen. The launch event will be aired at select PVR multiplexes in New Delhi, Pune, Mumbai, Hyderabad and Bangalore. Prices of tickets are fixed at just Rs. 99 and you can buy them on the BookMyShow app. You not only get to watch the event live on the big screen, you also get complimentary popcorn and coke and an exclusive OnePlus 2018 calendar worth Rs. 799. The tickets will be available on first come first serve basis from 8th November at 10am. If you miss the chance to grab a ticket you can always go with the conventional live stream which can be viewed on the OnePlus India website. OnePlus has also announced the availability details of the OnePlus 5T. The early access sale will begin on Amazon India and the OnePlus store on November 21st at 4:30pm IST. The official sale of the OnePlus 5T will begin on November 28th. When it comes to international markets the OnePlus 5T will be available from November 21 in North America and Europe. It shall arrive in China on December 1. The OnePlus 5T was leaked by serial leaker Evan Blass and it confirmed the suspicions of a bezel-less screen. OnePlus themselves have confirmed that they have kept the 3.5mm jack even if they had to settle for a slightly fatter smartphone. The innards are most likely to remain same but the camera and display are likely to be upgraded.